Many imagine Saudi Arabia as a desert country with extreme temperature throughout the year. Fortunately, it is not. In fact, they have mild and pleasant winter but summer can be very hot. 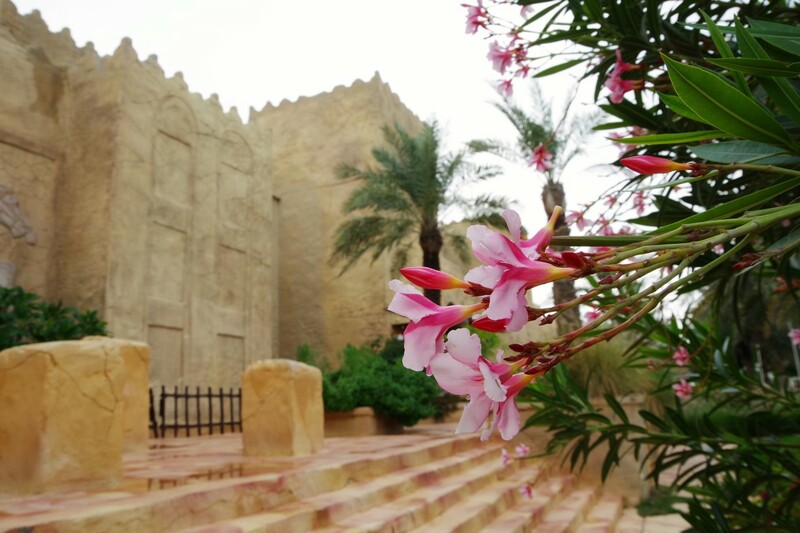 There are also places in Saudi Arabia that enjoyed mild weather throughout the year. One such place is Abha. 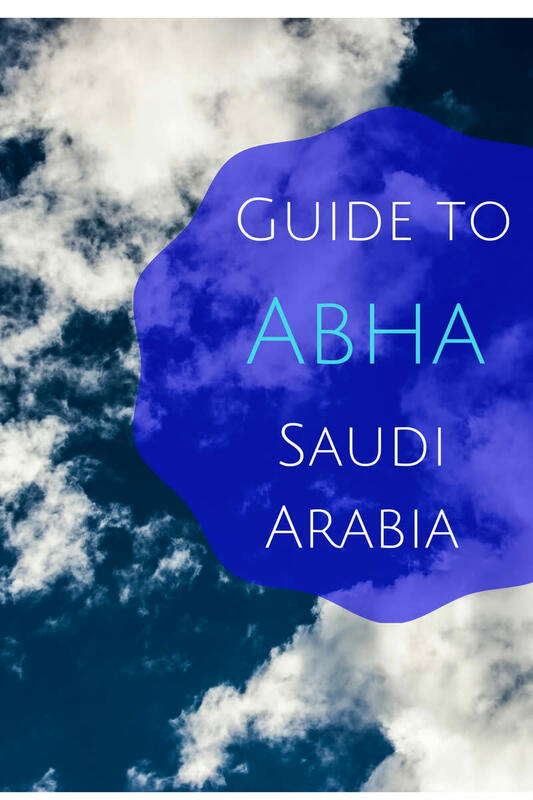 Let me introduce and guide you through Abha, Saudi Arabia's city in the sky. It is about 1.4 miles above sea level and enjoys a mild climate throughout the year with average temperature of 70°F (21°C) in the summer and 60°F (15°C) in the winter. The city seldom experience temperature exceeding 95°F (35°C) which makes it a popular holiday destination for expatriates working in Saudi Arabia as well as for the Saudis. If you travel deep into the desert country, the night temperature can drop to below 14°F (-10°C). There were occasions where it snowed in Abha. Unlike other parts of the country, Abha and the surrounding area are subject to rain, which explains why agriculture is a big industry. 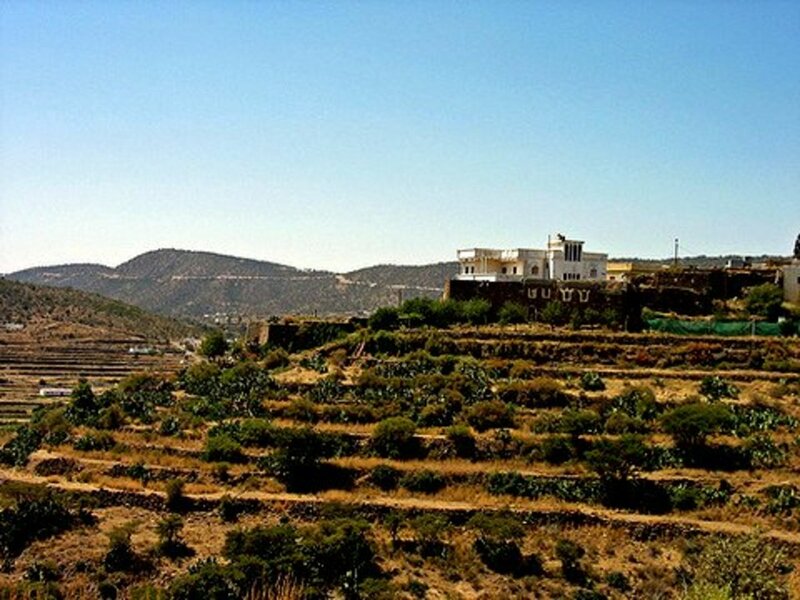 Located at 1.4 miles above sea level, Abha enjoys a mild climate throughout the year. One of Abha's attractions is its innovative and unique architecture as a result of its environmental and topographical conditions. Its relative remoteness and isolation from external influences give Abha its unique architectural character. Unlike other places in Saudi Arabia, Abha managed to preserve this unique architectural heritage. Abha is in the southern part of Saudi Arabia in the province of Asir and is the capital city of the Asir province. The mud and stone houses are examples of these architectures. The old mud and stone houses were built in vertical rows and are more than three storey high. The walls are thick enough to repel heat but will capture the cool desert night air. It keeps the house interiors cool in the daytime even during hot weather. There are several of these old mudhouses and you can spend a day exploring them. If you drive to the outskirts of Abha, you will see more of these mud and stone houses and in the old villages, these houses are at least 300 years old. If you are with a tour guide, you will learn the construction techniques of these houses, which is something worth knowing. Other attractions in the city with these unique architectures are Al Muftaha Village for Fine Art, and Shada Palace. The old Muftaha Village that was in a state of neglect was re-built based on inspirations from Asir's heritage and culture. It was built using the traditional methods of construction with local mud and stones. The new Al Muftaha Village comprises of King Fahd Cultural Center, Archaeological Centre, Media Centre and Al Muftaha Theatre. It was the first project in Saudi Arabia that embraced traditional crafts, photography and fine arts. 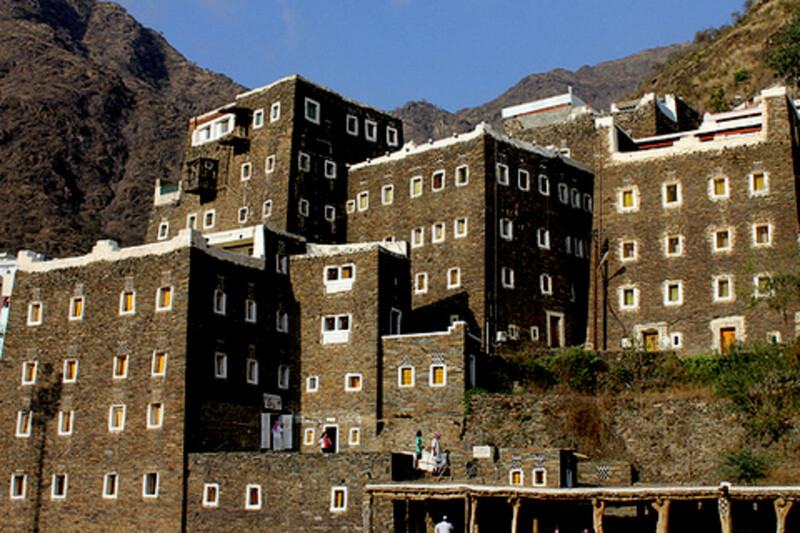 Shada Palace was built in 1927 and used originally as the headquarters of the Amara of Abha province. It is now a museum. It houses old planting & household tools, coins, several manuscripts and photographs of life in Abha in the second half of last century. Farther away from these mud villages is the watering hole for various bird species at Wadi Mahala, which is about 6.2 miles (10km) from Abha city. 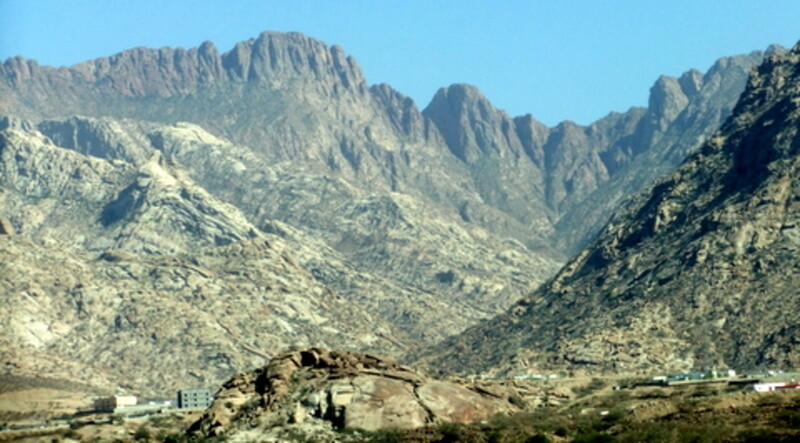 Abha is also home to the highest peak in Saudi Arabia, the Jabal Al-Sooda or Black Mountain, which stood at 2 miles (3.3km) high. 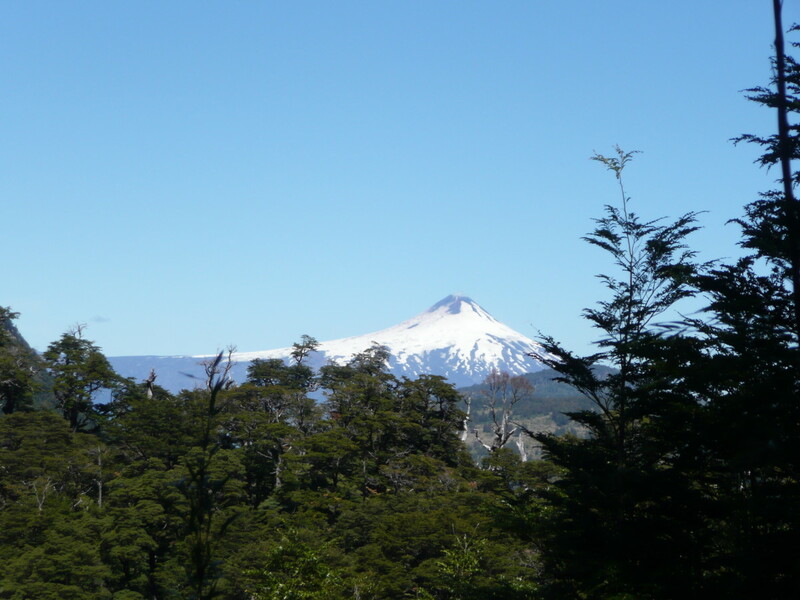 It is the highlight of any trip to this area for a breathtaking vista of the city and the surrounding area. This is also the site for the paragliding competition held every summer during the Assir Festival. 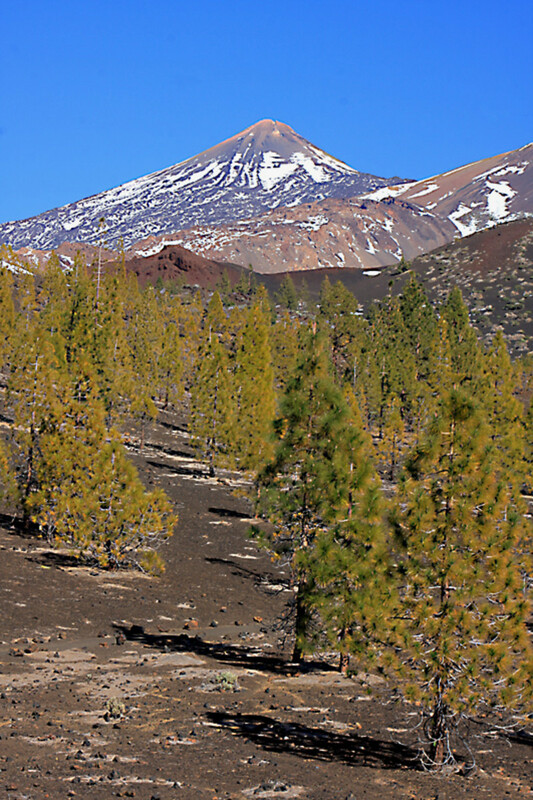 The origin of Black Mountain name is a mystery but locals believe the names came from the dark Araar trees that grow all over the mountain and the dark clouds that loom above it. In and around the city you will find four cable car networks that will take you to Al-Sooda or Black Mountain, Al-Habala, New Abha and Lake Saad: a picturesque lake, surrounded by rolling hills on both sides. 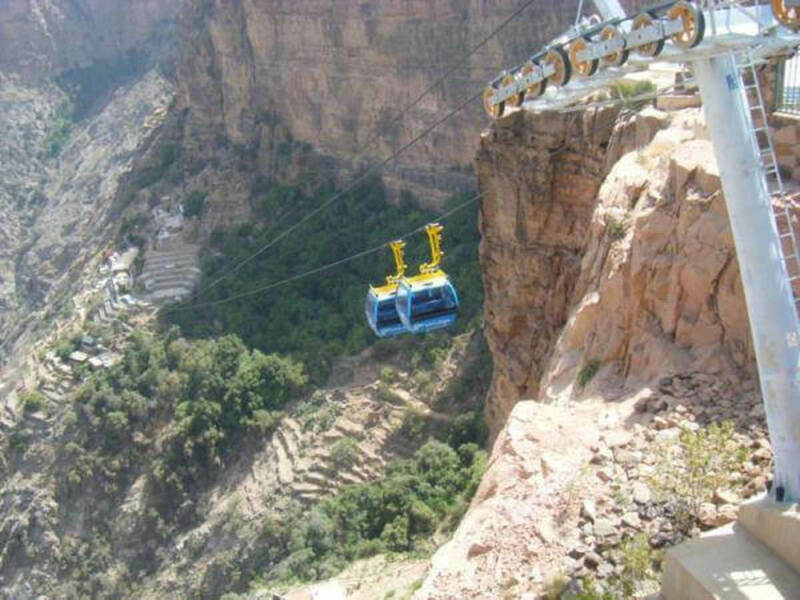 The highest for these cable car rides is the 4.3-mile ride from Al-Sooda. It also descends 1.2 mile to connect Sarawat Mountains with the Tihama villages. The Asir National Park, a 1.1 billion acre (450,000 hectares) of land and sea that was set up in 1976 is one of the major attractions in Abha. It is home to Jabal Soodah, the highest mountain in Saudi Arabia. 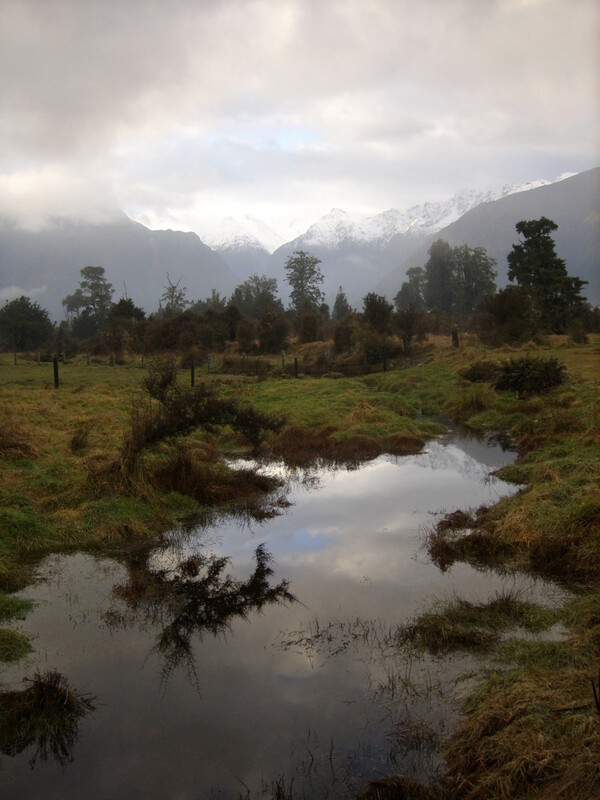 The misty mountains with its dense and pristine forests are homes to a variety of rare floras and faunas that are now protected from deforestation. Bring your camera, capture these rare plants, and share it with your friends. 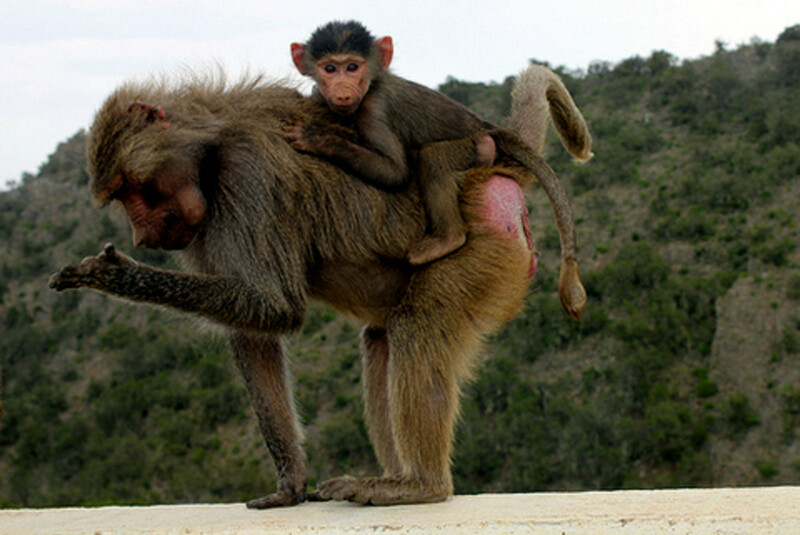 At Asir National Park you might encounter baboons that are so used to people that they look forward to you feeding them. Driving around Asir National Park is a ride filled with breathtaking mountain sceneries. The precarious two-lane roads that wind through its valleys and escarpments can sometimes give you that goosebumps. For every turn that you take will bring you another unbelievable view. Among the other activities that you can do at Asir National Park are bird watching, hiking, and mountain climbing. There are also several campsites and picnic sites with toilet facilities but maintenance of these facilities is low. 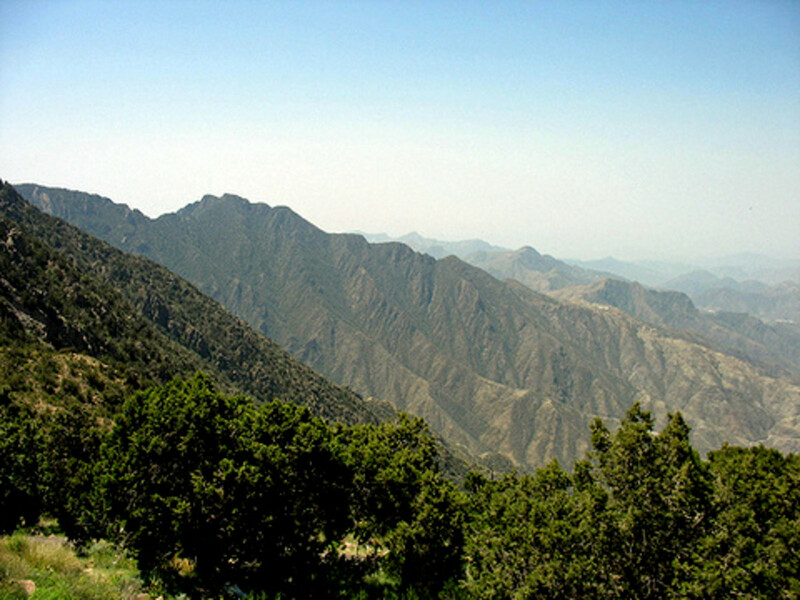 About 20 minutes' drive from Abha is the Al-Habala Valley. Al-Habala means 'rope' in Arabic and the village is called 'Hanging Village' because the only access then was by climbing ropes! The villagers will use the ropes and pulleys as a mode of transport to trade with the nearby town or to bring back items they had purchased. It is much simpler now with the cable car connection. How did this village come about? According to the official record, the Qahtan clan had to flee the Turks' attack and took refuge in this perilous, but safe place. This perilous yet interesting site has become a popular tourist area and a favorite spot for paragliders. If you look at the photo below, you will see that the villages are built on the mountain edge, a scary experience for a visitor when opening window or door to see ravine at the doorstep! Al-Habala valley is also surrounded by Sarawat Mountains that stood at 1.23 mile (2 km) above sea level. The hanging village is about 0.19 mile (300 m) below this point. 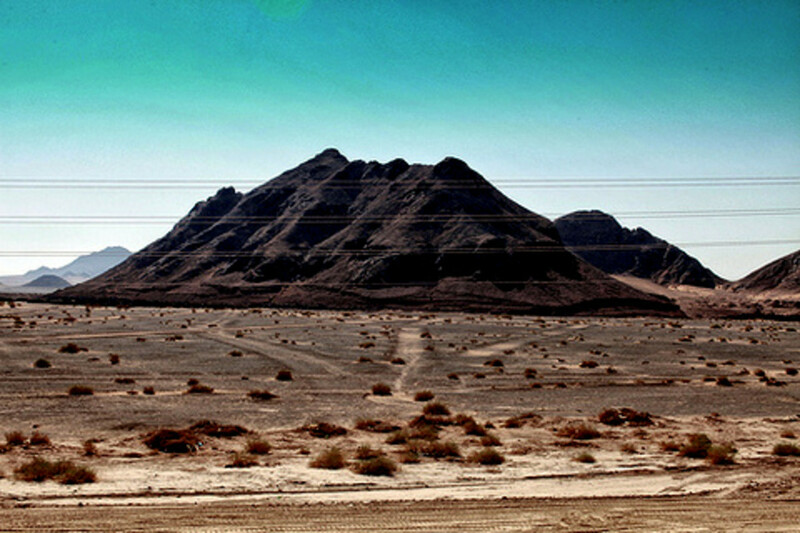 Sarawat mountain range is the Arabian Peninsula's largest mountain range. It starts from Jordan and run through Saudi Arabia and ends in Yemen. Shallal Al-Dahna is home to one of the few semi-permanent waterfalls in Saudi Arabia and is a photographer's paradise. 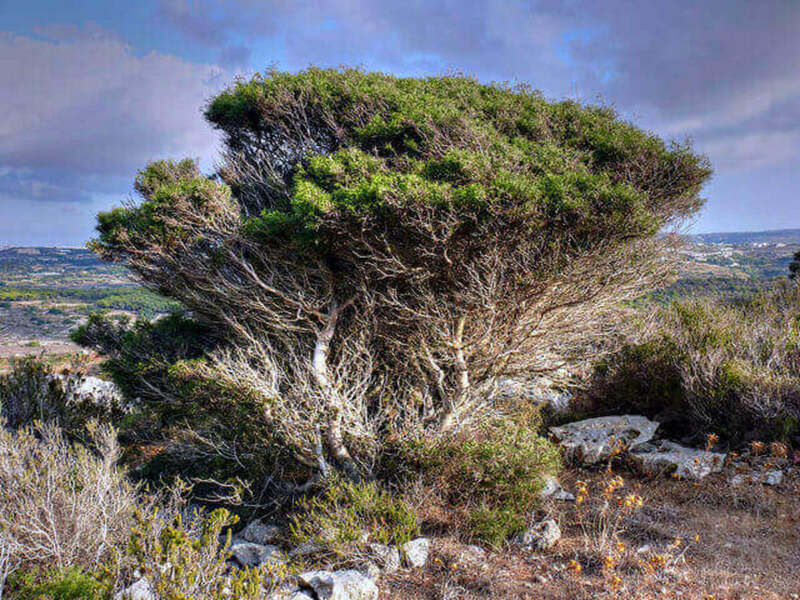 Tanumah is an area of broken granite hills that are mostly covered with acacia and juniperus plant varieties. 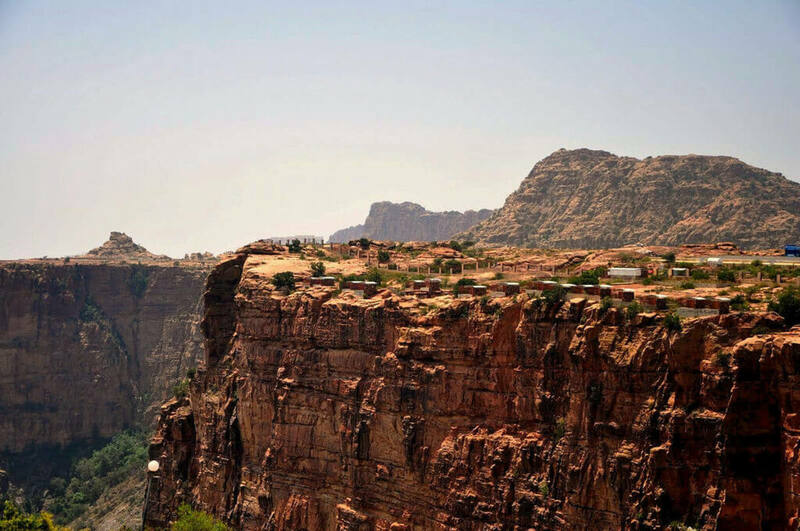 Both are about 62 miles (100km) north of Abha and are accessible via good roads, unlike some other sites. Malaki dam lake is situated on the periphery of Asir foothills. Four wadis run through this lake and it covers an area of about 2,471 acres (10 sq. km) when the water level is at its highest. One of these wadis is the famous Wadi Jawah. The area is a popular breeding ground for several varieties of birds from the Arabian peninsula as well as migratory birds from the African continent. If the site is not managed properly, these breeding grounds will soon become history. The government must control and halt further land cultivation within these areas to preserve these important breeding grounds. Note: Wadi means a valley or ravine, usually surrounded by steep banks that will become a watercourse during a rainy season. You must visit Raydah Escarpment Reserve for its sheer beauty. It is about 9.3 mile (15km) from Abha and is off the Al-Sooda road. This site has a vertical west facing slope with steep rugged rock that project upward as well as outward. The cool and damp climate at the top of this mountain contrast sharply with the hot and humid tropical condition at the bottom. 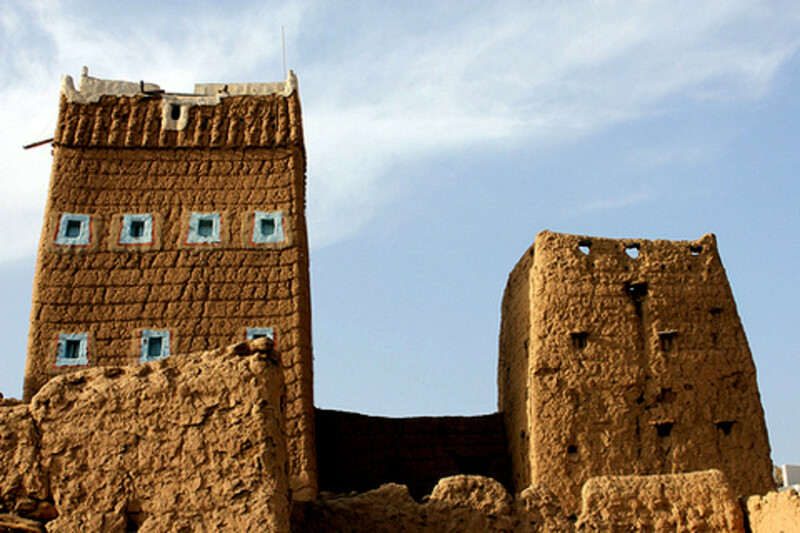 Abha and the region have several old mosques that date back as far as 70 AH (690 CE). Some of the popular mosques are Sadrid Mosque, Jahwah Mosque built on the top of Mount Akran in Mana’a, and mosque of Thurban. 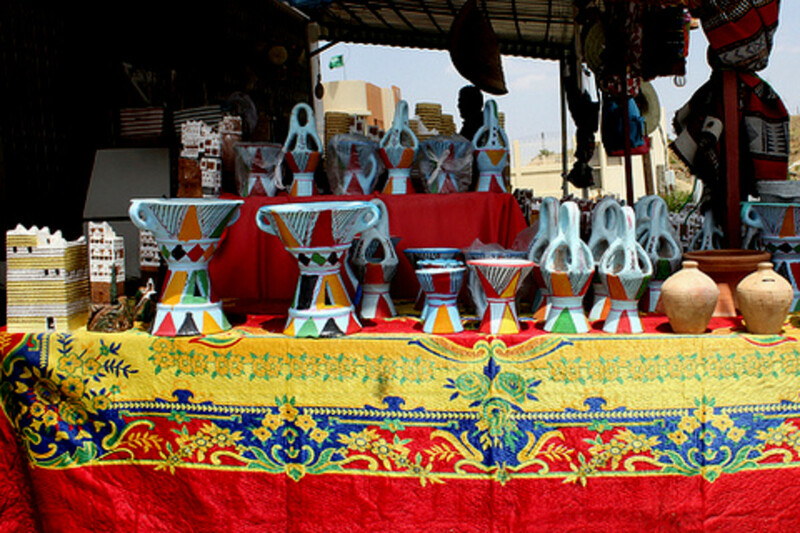 Basket souq or bazaar is a treasure trove of colorful handmade baskets; made from reeds and even vinyl. Made and sold by the local women, these baskets are favorite souvenirs with tourists that visit Abha. Every Tuesday, near the Al-Mafteheh tourist center in Abha, there will be a traditional market selling mainly local produce, spices, and clothing. 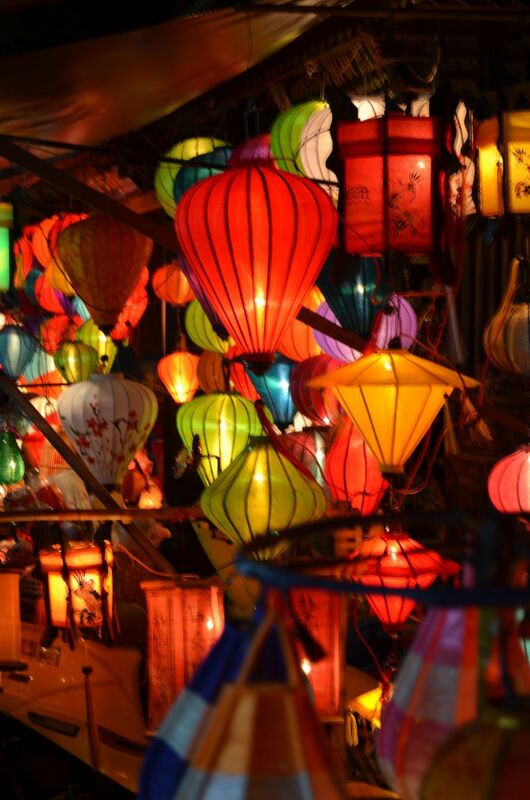 This market attracts mainly locals from the neighboring area but if you have a chance, visit this market to see how the locals do their shopping! Despite the many beautiful attractions, the real attraction is the people of Abha for their poetic and artistic manner. If you understand Arabic, you will be fascinated by the language of these people. Their use of poignant words and phrases will bring life to any topics of discussions. The women of Abha wear black dresses with intricate embroideries known as Abha thobe. Jewelry is an essential part of any women's dressing and it is no different in Abha except that the amount of jewelry worn is also an indicator of the women's social status. A wealthy woman will wear lots of jewelry and thus marriage dowries for this region are higher than any part of Saudi Arabia. The people of Abha and the region are also friendlier and not so uptight as compared to the other parts of the country. Their clothing is more colorful and the men sometimes wear colorful trousers. Another unique practise is local women running and operating booths in the souks (bazaars) which is hardly seen in other parts of Saudi Arabia. Abha is located almost to the southern part of Saudi Arabia and is geographically very far from almost all major cities and towns in the country. The best way to reach Abha is to fly since driving will take up most of your vacation time. 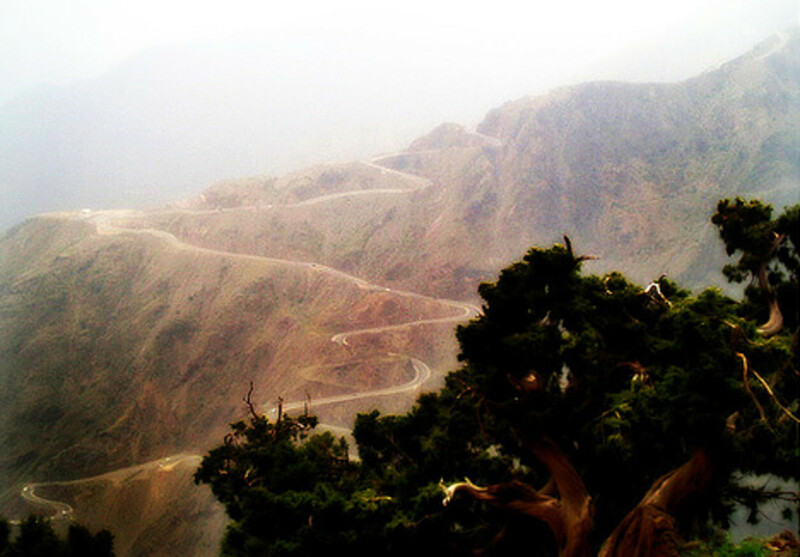 The drive to Abha from most major cities in Saudi Arabia will be a long drive that takes at least seven hours. You can either go along the coastal route (from Jeddah) or the interior route. Either way, you will be driving along major highways and old roads that can be both daunting and interesting. Be warned; there are no hotels along the way so be prepared to rough it out. Besides staying in hotels, you have the option of staying in villas or apartments. There are several choices and if you intend to explore the area, it is best to use Abha as your base and travel to your respective points of interest. Abha Palace Hotel: In a good location within the city and with a fantastic view of the surrounding mountain. Reviews by users are mixed. Intercontinental Hotel: Located at the highest point and away from the city center. Rated by users as "...the hotel that Intercontinental forgot..."
Assalam Palace: About 10-minute drive from Abha Mall and is in downtown Abha. Offers free Wi-Fi. Boudl Abha: Located at New Al Taif Road at Abha Mall and is perfect if you are looking for city center hotel. Offer free breakfast and free wireless internet connection. Al Bouhaira Resorts: Located at Al Soudah Road and overlook the Abha Dam Lake. Rooms available are the standard, deluxe, suites and villas. Saudi Arabia has many things to offer such as the cool mountain resorts, scuba diving and fishing in its famed Red Sea. If you have the privilege of traveling to Saudi Arabia, which is not an easy country to apply for tourist visa, make a point of traveling south to the province of Asir and enjoy the mild weather and the beauty that Abha and the region have to offer. Dear Arvin. Your best bet is to contact your Phillipines government and through your KSA Phillipines embassy. Give them all the detail info that you have on your sister and I am sure they will help you. sir.. im a pilipino..im arvin guinto.me ang my family are seeking help to find or communicate to my sister..she is a domestic helper her name is AIZA C. GUINTO.. the last thing we know for her is her employer will deploy her in abha saudi arabia.. since she transfered to abha we didnt recieve any massage or call from her.. is there any way to help us sir? or to connect us to goverment in abha to help us to find or communicate to her?? please sir.. help us.. we are begging for help for my sister.. please sir..
Kim, it is like Taif or any other towns in KSA. It is safe but don't venture alone at night or to places that are not so crowded. Hi, Sian that's good to know and the early '80s must be quite tough to grow up in that area, which I am sure was not that developed yet? Thanks for dropping by and love to hear or read of your experience there..you should write and share! Enjoyed reading this. I lived near Abha as an expat from 1981-1988, when I was aged 3-10. I have such amazing memories and know that this place helped make me the open minded, curious, adventurous, landscape-loving, geography nerd that I am :) I'd love to visit again sometime, and am keeping my Arabic alive just in case. I see, thank you for your reply. It still feels like I'm in Abha right now, because of the videos, descriptive words, and wonderful pictures you posted, haha.. Maybe someday I could visit Abha, someday.. Thanks! Hi Lily, relatively, Jeddah is more liberal. However, if you intend to travel to Saudi Arabia, there's no such thing as tourist visa. You have to come in under business visa or if you are a Muslim, you can also enter under pilgrimage visa. Woman traveling alone is not easy, it is best to come with a man that is related to you, such as husband, brother or uncle. Great! Thanks for posting this.. Is this city more "open" compared to jeddah? I like to visit saudi arabia someday, but I am afraid to be alone because I am a woman. What city can you suggest for me to adjust? Thanks. Hi skg abbas, thanks for dropping by and commenting. I hope you will get another chance to visit Abha again. Have a good day. thanks great stuff, Hub pages. I had been to Abha, jazan, farasan island. may be I would like to visit again. your information is great. I ended up here from a random search. Francesco, wow that was some time back and it's interesting to know the changes in Abha, since then. Hope to read your articles soon. Thanks for dropping by and sharing. Well I lived in Abha in 1983-1985 when working for the Assir Project. I was a tunnel engineer mostly (for Electrowatt) following works done by SAIPEM. I also wrote an article on Tunnels & Tunneling about it. Abha and surroundingsare really beautiful. I went down the Alhallah escarpment when there was only an extremely dangerous track (which was wiped out by a storm one year later). Abha and Soodah have a wonderful climate and even fog, but you can drive down to the Red Sea beach and find a sea full of tropical fishes and a very, very hot climate. I am writing about it (together with other adventures) in my website. IslandBites, thanks for reading and the vote. Have a good day. @Ratatoesk, thanks for dropping by. Saudi Arabia has many interesting places to visit and Abha is one of them. If you have a chance, put Abha in your itinerary. It is a bit far though from the major cities and the best way is to fly into Abha. 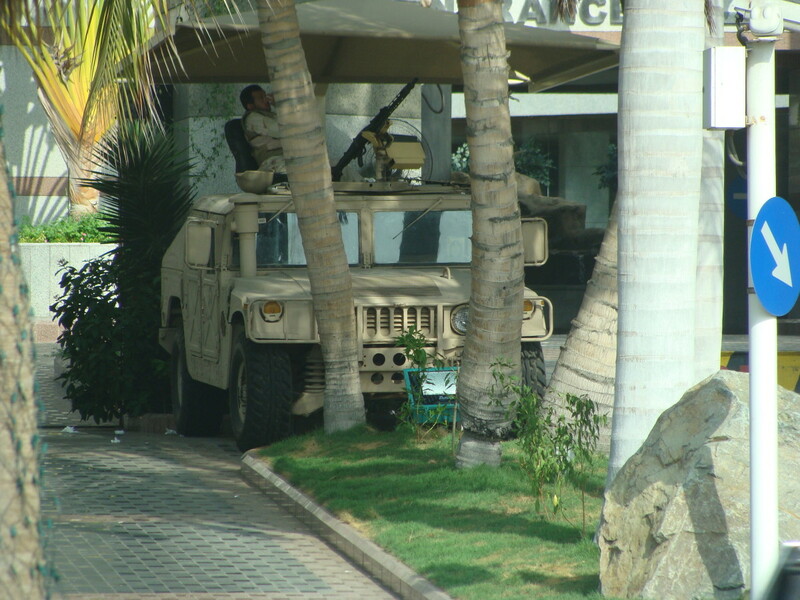 I have been twice in Dubai and once in Abu Dhabi but after reading your hub I wish to see more of the arab world. Sure, I grew up in the green of middle Europe and would miss it over there like I did in the dessert Namib, but nevertheless I´m curious. Great article. Thank you. @JayeWisdom: Thanks for the visit and comment. I love doing 'armchair travelling' as well esp. those on national geographic magazines. One of the most interesting aspects of HubPages is its international flavor. For "armchair travelers" such as I, hubs like this one (with its beautiful photos and interesting information) provide the opportunity to vicariously enjoy other countries. I enjoy travel articles very much, and this one is great! Thanks for sharing Abha with us. @bdegiulio. The mountain and desert sceneries are breathtaking. I love to drive to these areas, but not when there are sandstorm, hate them! @CassyLu1981. When I first arrived in Saudi Arabia, most of it was what I had imagined it to be but there were few pleasant surprises and Abha is one of them. Thanks for the vote and share. 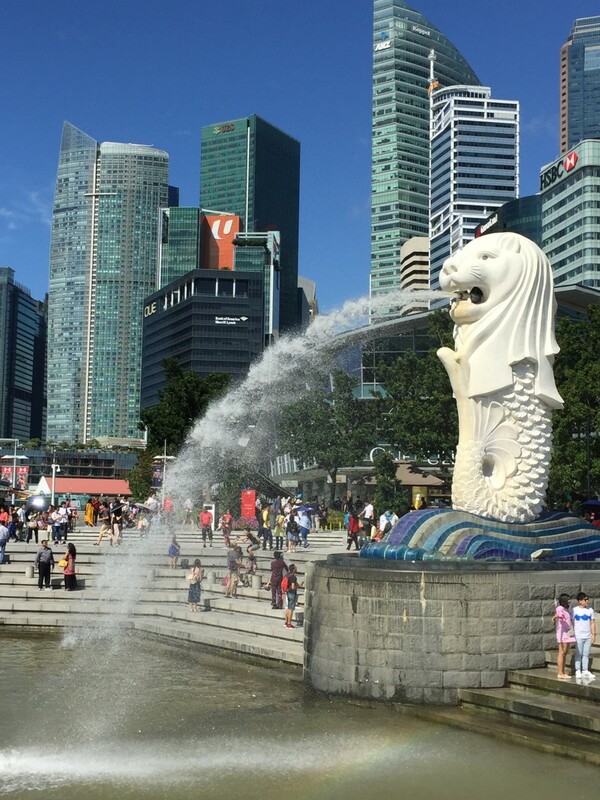 @lindacee: Yes, it is good to enjoy the mild climate when the rest of the country is sweltering hot esp in summer. A great look at Saudi Arabia. Definitely not what I expected. Looks beautiful. Thanks for sharing. This is not what I had pictured this to look like at all. Very beautiful and an informative hub!!! Voted up and shared! What a fabulous Hub, Greatstuff! Abha looks so beautiful. You have provided great insight into the region. I love the fact that the climate is temperate when compared to the rest of Saudi Arabia. I am a fan of the high desert landscape -- I only wish Las Vegas was higher in elevation so we could enjoy those moderate temperatures! Well done. Great hub, a very good review of a place to visit. Kudos! greatstuff! Another awesome hub here. You have documented everything so thoroughly. Well written and organized. I would love to check out those mud huts - I have heard how efficient they are weather wise. Your writing is impressive and I look forward to traveling to many of these great places! @teaches12345, thanks for the visit and commenting. Saudi Arabia has its charm and despite the horrendous driving by some mindless drivers there, driving through Saudi Arabia landscape is a wonderful experience. You will be amazed at how nature can turn desert to grassland when there are rainfalls. What I like most is the changing colors of the desert as you drive along the journey. Thanks for posting information on this area of the world. It is fascinating and I have heard of its beauty from others. Perhaps some day, I would journey there to experience this first hand. @spartucusjones Thanks for the compliment and I am glad this hub have given you an insight into a country that many thought is just desert! Om, unfortunately Saudi Arabia is not an easy country to get tourist visa. You either enter the country on a business or pilgrim visa. Even when I was working there (with an employment visa), for my family to visit me, the process of applying for their visit visa wasn't that easy. So Abha may not be on your to-visit list, unfortunately, unless you work there or enter on business visa! Very informative, detailed and well laid out hub! 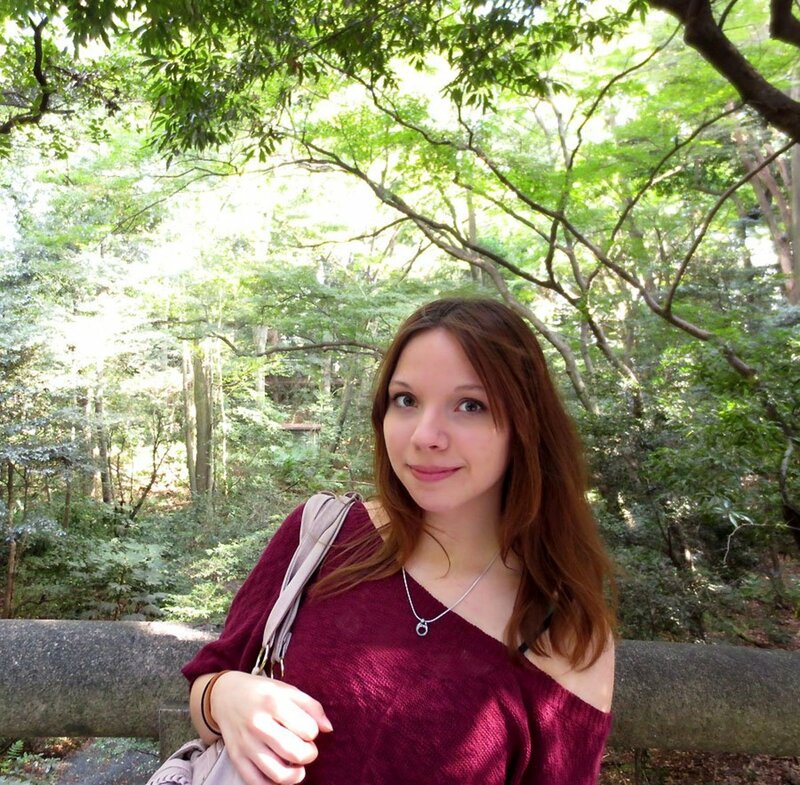 I definitely learnt a lot about a part of the world that I was unfamiliar with. @watergeek. Actually, the video original title is Abha City- Saudi Arabia. Maybe I should add my own title to give a clearer explanation. I do agree the video can be confusing as it is a long video and have almost everything that they were doing while in Abha, with no proper 'scripting'. I use this video as it covers the rain, food, paragliding, cable car and the scenery. Great article, greatstuff. I especially liked the video. Do you have a title for it? I was a little confused about what it was about at first. I was one of those who assumed deserts were pretty much everywhere in Saudi Arabia. It's great to learn that there are also places with mild weather and forests. I think I'll put Abha on my to-visit list! Thanks for this wonderful travel guide. greatstuff, right now I am not in KSA, but I will someday...thanks! @greeneryday . Thanks for the visit and commenting. Are you in KSA right now? Very detail and informative hub, I doubt I could find better hub about Abha than this one. Voted up for awesome. PS : I am definitely going to visit abha someday, thanks!